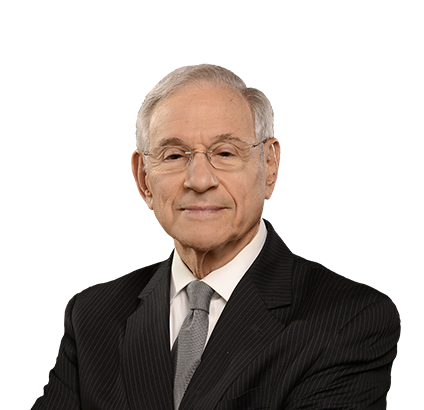 With 50 years of experience in health law, Harvey has deep knowledge of the entire healthcare marketplace. He represents providers and associations of healthcare providers across the care spectrum from acute to primary care, including mental health professionals, pharmacists and pharmacies, emergency medical services, physicians and dentists. Harvey brings a 360-degree view to healthcare matters. He combines his thorough understanding of the statutory and regulatory landscapes and his familiarity with the key players when developing strategies to solve clients’ problems and help them achieve their goals. Harvey is actively involved in pro bono work. He helps develop legislative proposals and public policy positions for the Anti-Defamation League and funding sources for the Missouri Legal Services programs. Assisted nursing services company in receiving approval from Missouri Health Facilities Review Committee to move forward on $35.7 million senior housing project in the St. Louis area. Represented one of Missouri's largest health maintenance organizations and obtained dismissal of lawsuit challenging award of the then-largest contract in the history of Missouri – the state Medicaid managed care contract, worth more than $1 billion annually. Defended owner and operator of adult day care center in pro bono matter where owner faced loss of more than $500,000 in dispute with Missouri Department of Social Services and Missouri Department of Health and Senior Services. Represented center owner at appellate level, and court ruled in client's favor. After a day at the office, Harvey farms his land. Harvey raises row crops, rotating corn and soybeans, and grows hay on his 276-acre farm in Jefferson City, Missouri. Since Harvey’s practice does not involve agricultural law, the two occupations never cross paths. But he enjoys both equally. Harvey believes everyone deserves legal representation and seeks funding for those who can’t afford it. Since 2003, Harvey has worked with the Legal Aid of Missouri Statewide Program and the Missouri Bar, helping to enhance funding for the pro bono services organization. Because of his advantageous location in the Missouri state capital, Harvey is able to help influence decision-making by the state government to obtain funding for pro bono representation. He firmly believes in the cause. With proper funding, Legal Aid can provide free civil legal assistance to the people who need it most but can afford it least.